Watch My Budget is a free personal finance software with the help of which you can keep a check of your expenses, manage the cash flow and setup budget. This software is for budget advisors or for those who want to keep a check on their expenses and create a budget for future. It has been designed for professional use. For setting up a budget, the details of possible list of budget items has already been incorporated in the software. You just need to fill in the expense. Also you can add more items if you wish. The budget has been divided into two parts- Income and Expenses. The income row is for the budget items which are income and the expense row is for the budget items which are expenses. Also you can keep a track of your payments by seeing whether you have been following your budget, what you are spending on and what payments are due. This is the main interface of the tool. Thereafter you can start creating a new budget. There are also tutorials provided which will guide you through using this software. Also there are videos which will help you get a better idea. Read further to know more about this software. 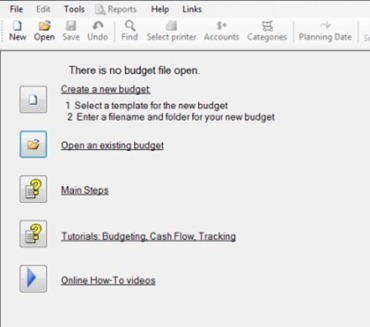 Click on the create a new budget option. A dialogue box will open up where you need to select the sample budget and give a file name to that. The budget listings will open with all the possible expenses. Here you can adjust the expenditure. Select the category, account type and the details regarding the period. Then just save the budget. You can go on creating budget list like this. Fill the values in the appropriate boxes and keep a track of your daily, weekly, monthly expenses. It is for professional users and really helpful for keeping a track of your expenses and creating a budget. You can set a password for the software so no one can access your personal account. 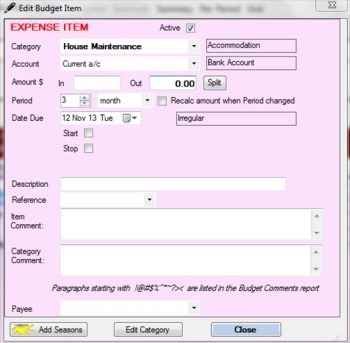 You can clear zero budget, unused budget items which may have no use in your list from the Edit option. You can have a look at the reports which you have created from the Reports option. Online tutorials are also available for the first time users. 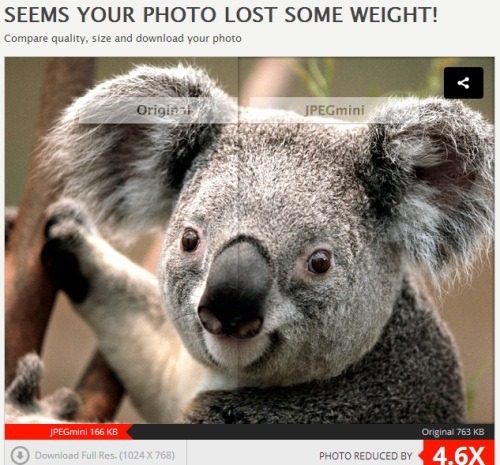 Go to the link at the end of the article to download this software. 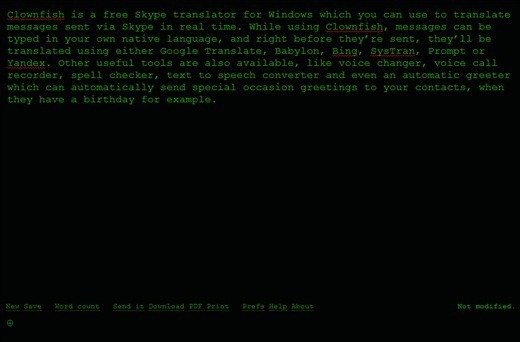 Click on the free version to install it in your system. 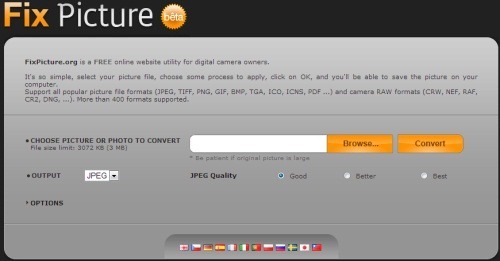 You can have a look at other similar software reviewed by us such as Spending Viewer, JXCirrusfinance. Watch My Budget is a nice tool for budget advisors and also for people who want to keep a fair track of their expenses. You can plan the future expenses using this. However some of the features are not available like money transfer, debt calculator etc. You will have to pay for these services. If you are a person who likes to be financially organized, then get this software! Get Watch My Budget for free!